The Drug Encapsulation System has been developed specifically to meet the demands of the drug development sector. It draws on Dolomite’s extensive microfluidics expertise to create a straightforward and flexible solution that offers ‘plug and play’ encapsulation of drugs into biodegradable polymeric particles (e.g. PLGA). The exceptional process control offered by this system allows reliable and reproducible generation of polymer particles with a narrow size distribution, and enables the user to ‘tune’ particle size from 50 nm to 100 μm to suit their application. This approach ensures high product purity and uniform API distribution, with almost 100 % encapsulation efficiency, simplifying optimization and validation studies. Once these studies are complete, the process can be readily scaled up using Dolomite’s Telos® High Throughput Droplet System. 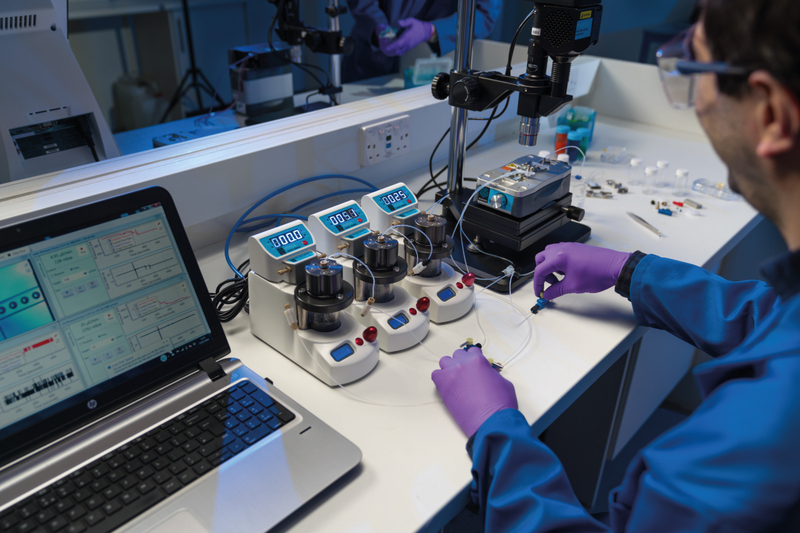 Backed by the company’s in-depth knowledge of the drug development market, these technologies put microfluidics-based drug encapsulation within reach for virtually any laboratory.